Hello! We joined an Easter hat making contest today. 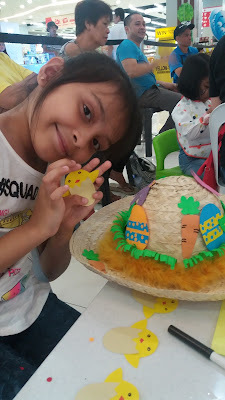 We didn't win but happy that my girls enjoyed the advanced Easter party. There was face painting and photo booth plus some free refreshment. The kids were given a bare hat and were allowed to decorate within 2 hours with the help of one parent or guardian. 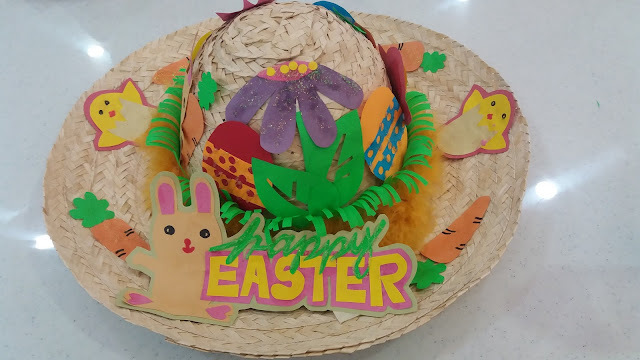 We had a couple of bunnies and carrots, some chicks and Easter eggs, feathers, glitters, paper grass and flowers to beautify the straw hat. This is our finish product. Tell me, is it cute or so cute? Haha. 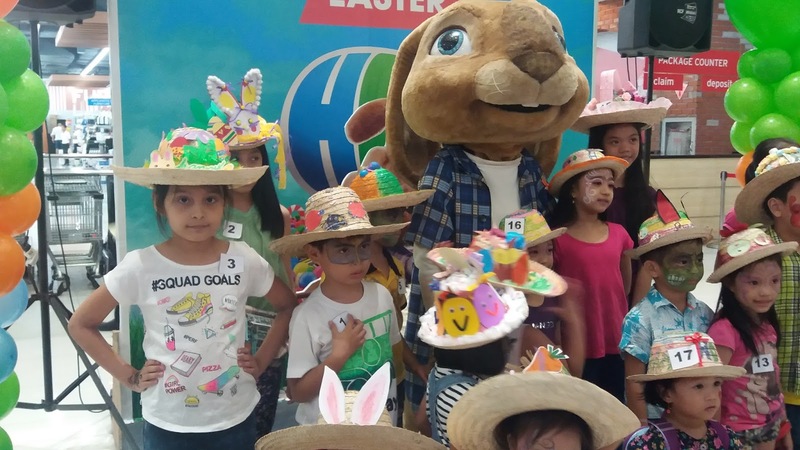 Here is a photo of all the kids with their hats on with E.B. 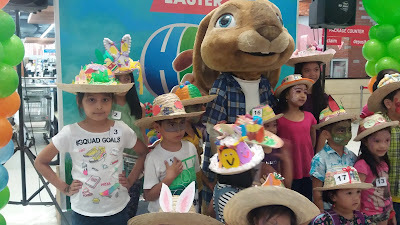 or Easter Bunny from the Hop movie at the center. Can you spot those winner hats?